Their name comes from the Guarani or Tupi words y (water) and ûasú (big). Legend has it that a god planned to marry a beautiful aborigine named Naipí, who fled with her mortal lover Tarobá in a canoe. 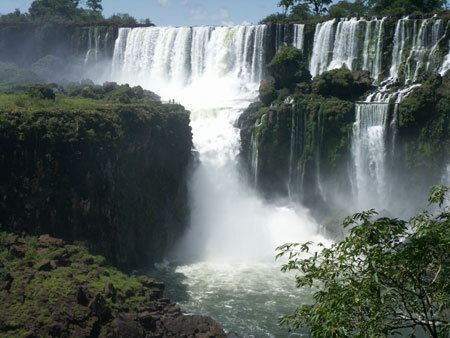 In rage, the god sliced the river creating the waterfalls, condemning the lovers to an eternal fall. 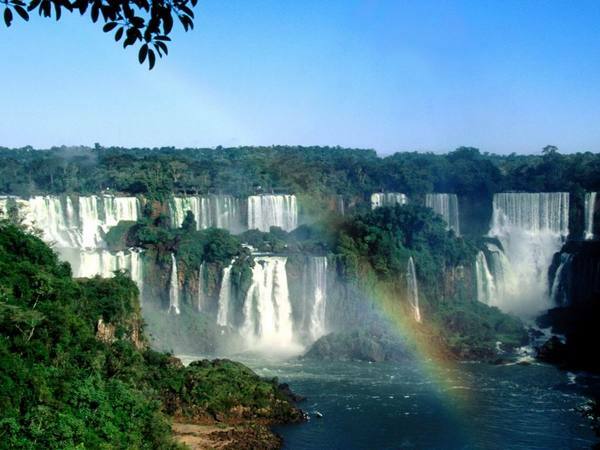 Iguazú Falls, called Foz do Iguaçu in Brazilian, and Cataratas del Iguazú in Spanish.The best times to see Iguazu Falls are in the spring and fall. Summer is intensely tropically hot and humid, and in winter the water level is considerably lower.